An Eating Disorder – What Happens Now? When you realize that someone you love may be struggling with anorexia nervosa or bulimia nervosa, naturally you want to know more about it. And because you care, you also want to understand what they are experiencing so that you can be as supportive as you can throughout their recovery. You may already know that anorexia and bulimia are complex and confusing illnesses. Now that you are past the initial shock of discovery, you may be experiencing feelings of anxiety, guilt, anger, fear, and frustration–all understandable reactions. 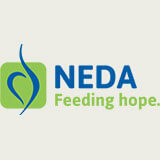 Seeing a loved one suffer from an eating disorder is very frightening and difficult. We know it’s not easy. What happens now? First, understand that the illness did not develop overnight, and that recovery will not happen overnight. Second, know that there is reason to have hope. With dedication to treatment, recovery is attainable. When singer Karen Carpenter died of anorexia, it was at a time when many doctors lacked the awareness and education needed to diagnose and treat victims of eating disorders. Today we know much more about these illnesses–what causes them, how to recognize the symptoms earlier, and the steps required for recovery. You can play a critically important role in the recovery process. Knowledge-based appropriate actions and support can be a tremendous source of strength and comfort to your loved one. To begin, you can help your loved one by getting your own emotions under better control. Educate yourself about anorexia and bulimia and you will almost certainly feel less anxiety and fear. Sometimes the unknown frightens us the most. Your local hospital, library, mental health organization, and eating disorder specialists are good sources of information. See also, Recommended Reading, at the end of this article. 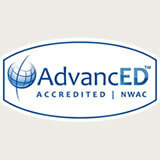 Learn about different modalities of treatment: medical care, medication, therapy and counseling, and dietary counseling. Learn about levels of care and different programs: inpatient care, residential care, partial hospitalization, and outpatient care. Sometimes intensive or inpatient care becomes necessary. Be a smart consumer. 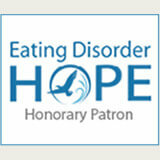 Identify those professionals who work with eating disorders. 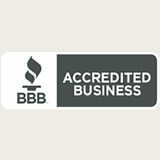 Ask pointed questions such as what are the credentials of those who will be working with your loved one? Whenever possible, visit facilities and treatment programs which are under consideration. Don’t try to deal with this problem alone. Consider this: Of all psychiatric disorders, anorexia and bulimia have the highest mortality rate. On the other hand, early intervention improves the chances of recovery. When dealing with an adolescent or with someone who is in acute medical danger, be prepared to exercise responsibility and authority. Their life may depend on it. In such circumstances, you may not be able to convince them they need treatment, and therefore you may need to act for their safety and well being. Find out what needs to be done, and discuss options with eating disorder specialists and family members. 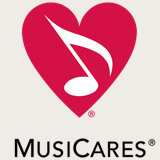 Do all you can to stabilize your loved one’s medical condition and prepare them for appropriate treatment options. Even with full recovery, the longer the illness runs, the more serious its permanent effects are. Conditions caused by the eating disorder (such as osteoporosis, ovarian failure, brain damage, endocrine abnormalities, and a weakened heart) can diminish quality of life long after the eating disorder is under control. Seek help as quickly as possible. Good therapeutic intervention will help them in understanding the problem and dealing with the reasons their eating disorder exists. Those suffering from an eating disorder cannot begin changing their beliefs and behaviors until they admit they are struggling. When you gently confront your loved one about your observations and concerns, be prepared for strong reactions. They will be embarrassed, will likely deny anything is wrong, and will be terrified of losing the perceived sense of control they believe the illness gives them. They may withdraw out of fear or lash out in anger. Be compassionate yet firm in your resolve. Be prepared for resistance. Your loved one may question the need for treatment, claim they can do it on their own or try to instill guilt by claiming you don’t care about them. You will probably be rebuffed many times as you encourage your loved one to admit to and to take responsibility for their eating disorder and related difficulties. The knowledge you have gained from reading and discussing the problem with professionals will help you persist in loving and appropriate ways. Since eating disorders are rooted in emotional struggles, solutions are found in emotional healing. In your attempts to help, do not oversimplify by saying “just eat.” This will only alienate the person you are trying to help. Instead, try to see the world through their eyes. Listen to your heart and follow those impressions. In moments of frustration and anger, don’t let your emotion control what you say and do. Express your own thoughts and feelings — especially your loving concern, your desire to help, and your good intentions. Feel free to admit to some of your own frailties, weaknesses, and short-comings. This gives your loved one permission to do likewise. Try your best not to shame your loved one into eating. One of the hardest things to do is not personalize your loved one’s eating disorder (i.e., “if she loved me she would eat”). If it were that simple, most sufferers would eat on their own again. They are out of control and don’t fully understand what’s happening to them. Nor do they know how to help themselves out of the self-defeating behaviors. Try to be objective, calm, and caring. Avoid fixing blame or guilt. Be sensitive, but be firm. Share your observations and concerns in a direct manner with kindness and respect. And when you are at a loss for words, a hug can express many loving thoughts and feelings. Those with eating disorders often feel ashamed, discouraged, fearful and hopeless. These feelings don’t need fuel, but correction through unconditional love and encouragement. The reality of an eating disorder is that the underlying issues are about pain, emotional suffering, and selfconflict –- not food. Helping your loved one to discover these emotions or to begin to talk honestly about their pain is a very important step toward help and recovery. There is hope for recovery – something worth encouraging. Find it and do some coaching. After listening, acknowledging, empathizing, and validating feelings, move on to encouragement, hope and positive possibilities. Always remember to respect the privacy of those you are trying to help. Do not discuss their issues with others unless they have given you permission to do so or unless sharing is necessary in keeping a loved one safe from harm. Express your love consistently, not just when they are doing well with food or with gaining weight. Identify other ways of expressing your approval and affection that have nothing to do with weight or with the foods being eaten or rejected. Even if they act as if 90% of their life is the eating disorder, treat them as a person — not as a behavior or an illness. Try not to be drawn into arguments, threats, bribes, guilt, or blame concerning weight, eating, and food. Just give a consistent “broken record” response affirming your love, concern, and hope. Unless there is endangerment to life, do not shield them from the natural consequences of their eating disorder. For example, don’t finance the binge episodes of a loved one. Sometimes the pain from the consequences of engaging in the eating disorder can become a cornerstone of the motivation to let go of it. Find people you can talk with openly about your feelings and experiences, your fears and frustrations, and your plan of action. Contact local mental health professionals to learn if there are support groups in your area for friends and family of people with eating disorders. Participation in such a group may be very helpful. Talking with people whose family members have recovered from an eating disorder can bring hope and encouragement to you during difficult or discouraging times. Be a good example with food and when discussing food or weight-related issues. This may call for changes in your attitudes, eating habits, and activities. Consulting with a dietitian and a therapist may help you determine necessary changes in your own attitudes and behaviors around food and weight. First, remember you can set an example without lecturing or making a production of it. Start by eating a well-balanced diet with a variety of foods. Exercise moderately. Accept your own weight, shape, and your right to participate in activities such as swimming and dancing or any activity you might enjoy but have not allowed yourself to participate in due to body dissatisfaction. Do not make negative comments about your own or others’ bodies. There is no single cause for an individual’s eating disorder. Eating disorders are complex illnesses. The eating disorder is not your fault. Whatever your mistakes or weaknesses as a parent, spouse, or friend, you did not create this eating disorder. We all have weaknesses. We all have been less than perfect or ideal in our roles and relationships. Yet, most of us have made good efforts to do our best based on our abilities and knowledge. Take ownership for your weaknesses and frailties and make genuine efforts to change and improve. More importantly, take stock of your talents, gifts, and resources, and get to work providing love, support, and open invitations for your loved one to come into a safe relationship with you as they are ready. Don’t let your guilt, insecurity, or fear get in the way of being actively involved in your loved one’s life. If you are exhausted emotionally or physically, you will not be able to provide the emotional support your loved one needs the way you would like to. Those with eating disorders often do not know how to get their needs met and often do not know how to take good care of themselves. If you take good care of yourself, you will have more energy in your efforts to help them, and you will be teaching by example something your loved one needs to learn. Set aside time to care for your own social and emotional needs. 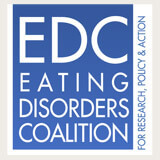 There are no quick or easy cures for eating disorders, so pace yourself. Be patient with yourself and with your loved one as he or she recovers. Often it will seem they are taking five steps forward, then three backward. But there is hope and recovery is attainable. Don’t ever give up! 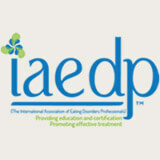 Surviving An Eating Disorder: Strategies for Families and Friends, Michelle Seigel Ph.D., Judith Brisman Ph.D., and Margot Weinshel Ph.D., Harper Row, New York, 1997. The Secret Language of Eating Disorders, Peggy Claude-Pierre, Times Books/Random House, New York, 1997. The Monster Within: Overcoming Bulimia, Cynthia Joye Rowland, Baker Books, Grand Rapids, Michigan, 1984. Hunger Pains, Mary Pipher Ph.D., Random House, Ballantine Books, New York, 1997. Reviving Ophelia: Saving the Selves of Adolescent Girls, Mary Pipher Ph.D., Random House, Ballantine Books, New York, 1994. Breaking the Cycle of Compulsive Behavior, Martha Nibley Beck and John C. Beck, Deseret Book Co., Salt Lake City, 1990. Shame and Grace: Healing the Shame We Don’t Deserve, Lewis B. Smedes, Harper/Collins, New York, 1993. The Shelter of Each Other: Rebuilding Our Families, Mary Pipher, Ph.D., Ballantine Books, New York, 1996. Raising Self-Reliant Children in a Self-Indulgent World, H. Stephen Glenn and Jane Nelsen, Ed.D., Prima Publishing and Communications, Rocklin, California, 1989. Changing for Good, James O. Prochaka Ph.D., John C. Norcross Ph.D., Carlo C. Dielemente Ph.D., Avon Books, New York, 1994. Feel the Fear and Do It Anyway, Susan Jeffers Ph.D., Faucett Columbia Books/Ballantine Books, New York, 1987. 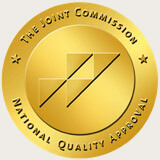 Center for Change is accredited by The Joint Commission.